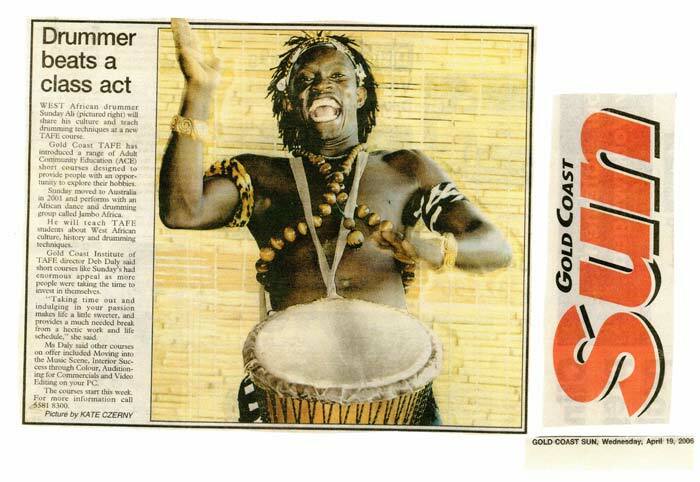 WEST African drummer Sunday Ali, who moved to Australia in 2001, will share his culture and teach drumming techniques at a new TAFE course. Gold Coast TAFE has introduced a range of Adult Community Education (ACE) short courses. They are designed to provide people with an opportunity to explore their hobbies. 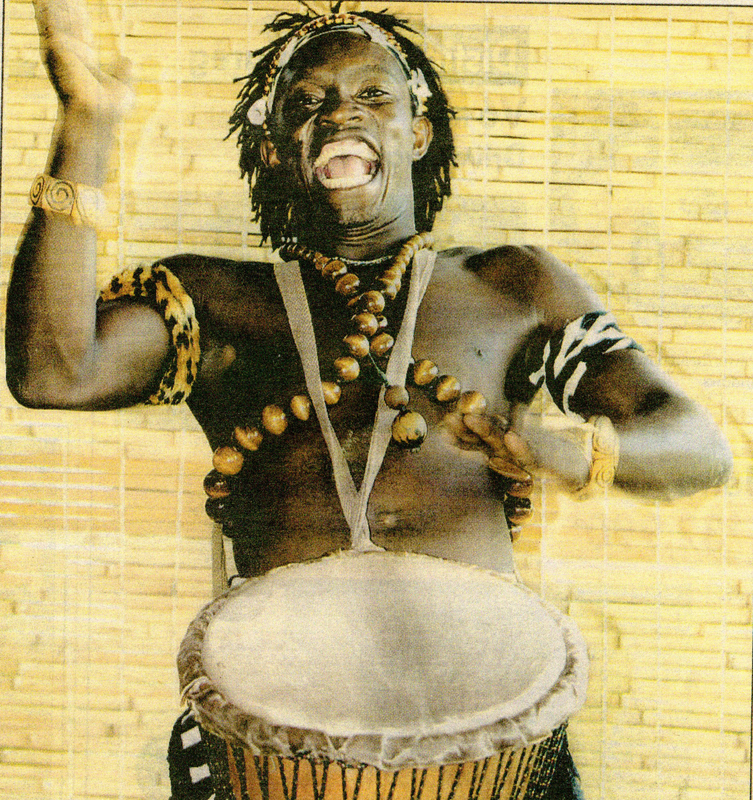 Sunday moved to Australia in 2001 and performs with an African dance and drumming group called Jambo Africa. 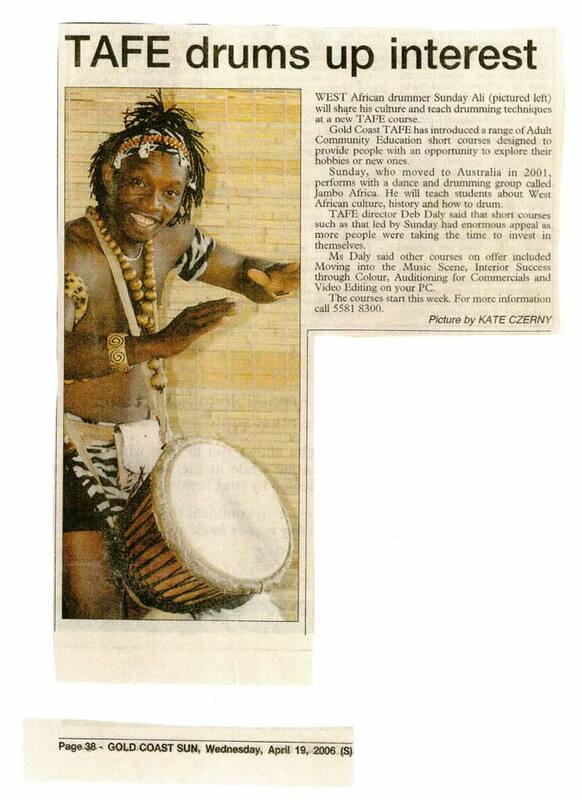 He will teach TAFE students about West African culture, history and drumming techniques. Gold Coast Institute of TAFE director Deb Daly said short courses like Sunday’s had enormous appeal as more people were taking the time to invest in themselves. “Taking time out and indulging in your passion makes life a little sweeter. Also, it provides a much needed break from a hectic work and life schedule,” she said. Ms Daly said other courses on offer included Moving into the Music Scene, Interior Success through Colour, Auditioning for Commercials and Video Editing on your PC. The courses start this week. For more information call 5581 8300.